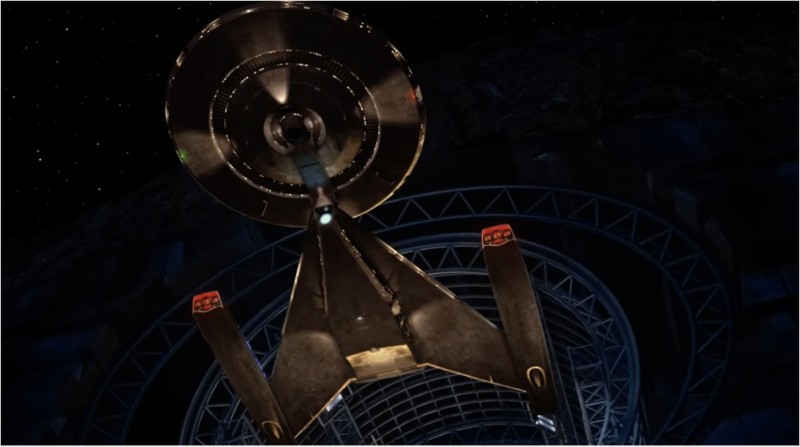 While there was no new footage or casting announcements made for Star Trek: Discovery at Mission New York today, there was a video from executive producers Bryan Fuller and Alex Kurtzman, which talked a little bit about the choices they’ve made with the new show. Fuller said that they see this whole show as a chance to “reinvent, re-explore, and reintroduce” the familiar things about Star Trek—especially alien races that audiences would recognize—but also bring a bunch of new ships, aliens, and technology to the Star Trek universe. As for the decision to make the main character not be the captain this time around, Fuller said in the video: “There have been six series all from the captains’ perspective, and it felt like for this new iteration of Star Trek, we need to look at life on a Starfleet vessel from a new perspective.” The new character is “not a captain,” but is going to have a “whole new dynamic” with the crew. 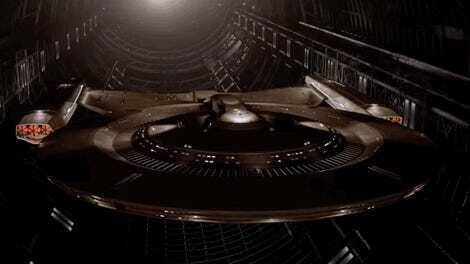 Fuller said that this will let them tell “richer, more complicated” stories about life on the Starfleet vessel. The video itself didn’t reveal anything, the footage was from the old shows intercut with the video of the Discovery revealed in July. The only thing that was actually new was a single shot of some alien latex that looked lizard-based. We’ve been teased this way before. Bryan Fuller&apos;s Teasing Us With This Star Trek: Discovery Alien, Isn&apos;t He?